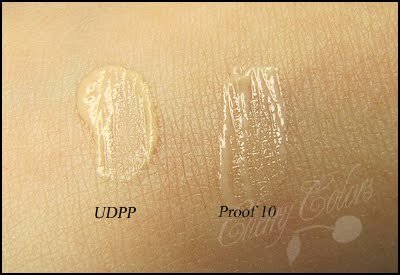 UDPP vs Proof 10 Swatches! - Cherry Colors - Cosmetics Heaven! 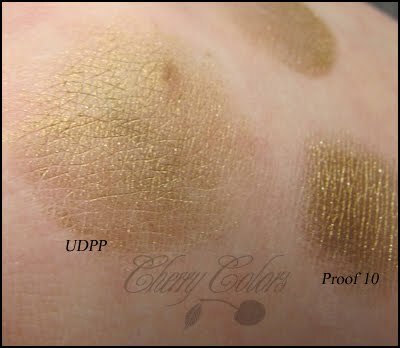 UDPP vs Proof 10 Swatches! Today I got my 2nd part of the swatch with Vanilla. 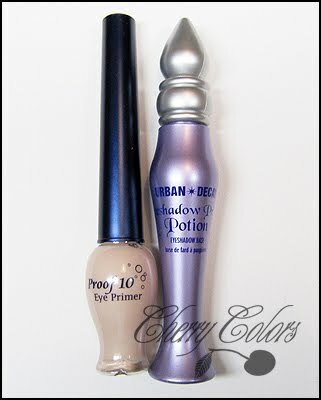 In it, there was the Etude House Proof 10 Eye Primer. I wanted to try it since I read so many great things about it. 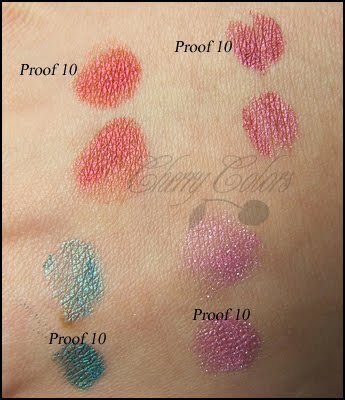 Well for today here are only some swatches and comparison pictures, but the review will have to wait some time. And I have just created a watermark! :D It is nothing special, but so far I like it. What do you think about it? 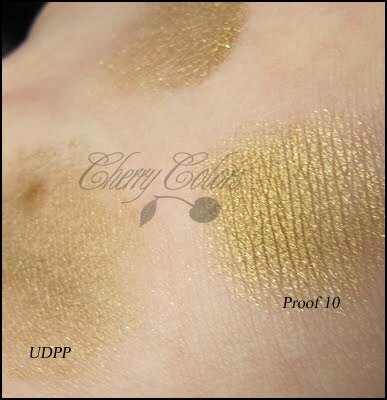 Both have creamy structure, UDPP is a tad darker (more like my skin tone and Proof 10 is lighter). They both have the same artificial scent. UDPP is a bit thicker too, but not a lot. 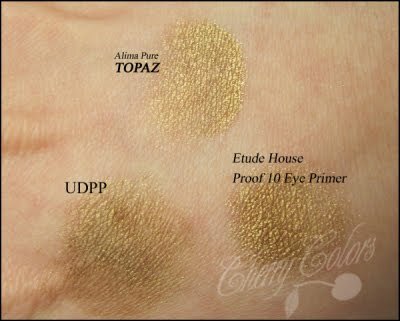 As you can see UDPP 'eats' shimmer eye shadows. I mean not literally, but on mine, they do not show up all that good. I applied the eyeshadow with my finger tapping it on the spot. I used (From left up to right): LimeCrime Siren, SweetScents Cactus blossom, SweetScents Teal Shimmer, SweetScents Pink Topaz. Which eye primer is the best in your opinion? Does it matter if it is a well-known brand or not?